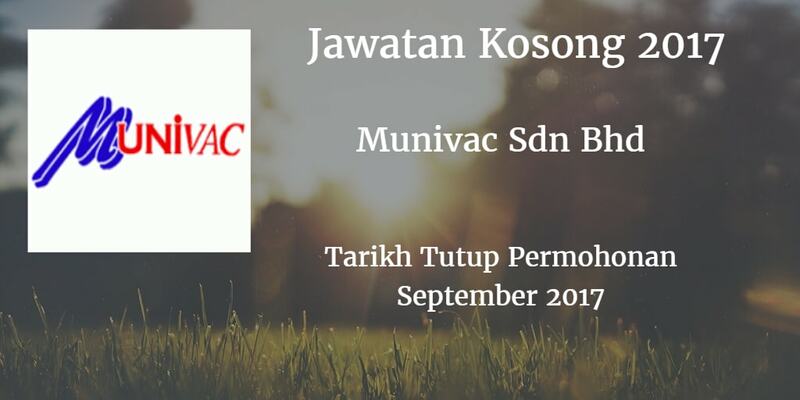 Munivac Sdn Bhd Warganegara Malaysia yang berminat bekerja di Munivac Sdn Bhd dan berkelayakan dipelawa untuk memohon sekarang juga. Must possess at least a PMR or SPM or equivalent in relevant discipline. Fresh graduate will be considered. Basic communication skill in Malay. English spoken will be an advantage. Able to work in rotating shift. a) Minimum Diploma qualification with related study or with 1 years experience in related field. b)Good communication skill in Malay and English. c)Computer literate. Must be good in Microsoft Office. d)Able to working in rotating shift. a)Must possess at least a Certificate or Diploma in relevant discipline or minimum 1 year related working experience. b)Good communicate skill in Malay and English. c) Computer literate. Must be good in Microsoft Office. d)Able to work in rotating shift. 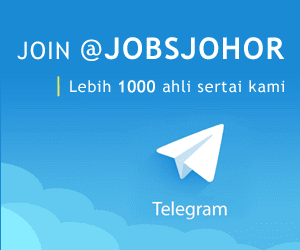 a)Minimum SPM holder or equivalent or minimum 1 year related working experience. Must possess at least a Bachelor Degree in relevant discipline or minimum 1 years working experience. Fresh graduate will be considered. Good written and communication skill in Malay and English. Computer literate. Must be excellent in Microsoft Office. Analyze and interpret forecasts and seasonality. Must possess at least a Bachelor Degree in relevant discipline or minimum 1year working experience. Fresh graduate will be considered. Able to work independently, good team player and organizational. Able to learn new skills and knowledge and be able to grasp engineering fundamentals in a period of 6-12 months. Good self discipline to demonstrate self management and drive projects or assignments to meet objectives set forth by company. Ability to work with people from different levels such as operators, technicians, supporting department and customers to achieve desired results. Ability to learn and master company's procedures and processes to ensure smooth execution of projects and daily task assigned by superior. Develop and practice trouble shooting and analytical skills to achieve the desired goals set forth in any project. Must possess diploma in Computer Science / Information Technologies or equivalent discipline. At least 1 year experience in Microsoft Navision. Knowledge in web services is advantage. Flexible and able to work independently. Gather and document for functional specifications and user guides. Conduct UAT with end users. Assist in access management and desktop support.